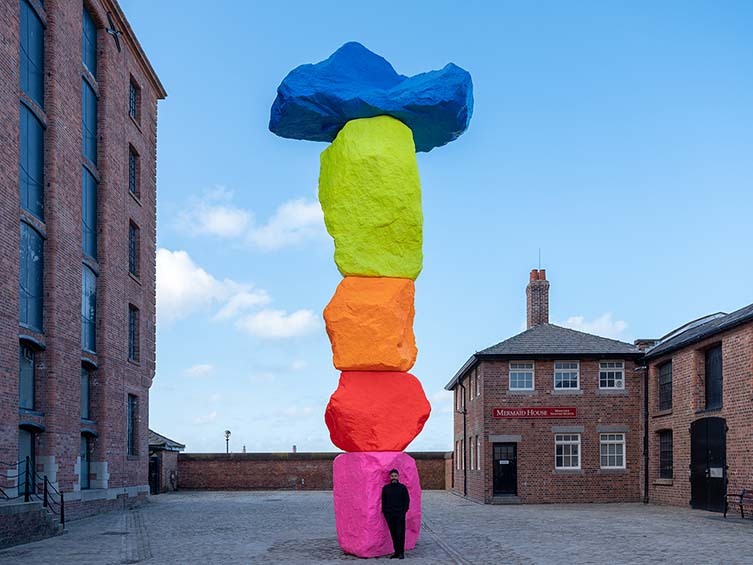 Those are the things that Swiss artist Ugo Rondinone had us pondering when he dropped his Seven Magic Mountains into the Nevada desert on the outskirts of Vegas; manifesting Sin City’s awkward juxtapositions in 35-feet-high piles of locally-sourced boulders daubed in ravetastic dayglow. 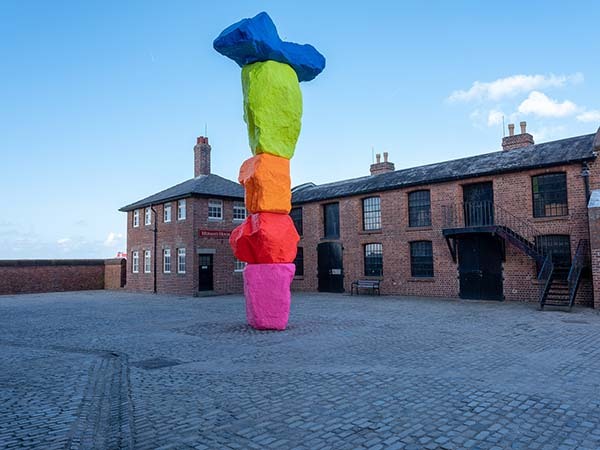 Since then, the work has gained a global following, as experiential and Instagrammable art has taken contemporary art once deemed high-brow or exclusive into the mainstream. 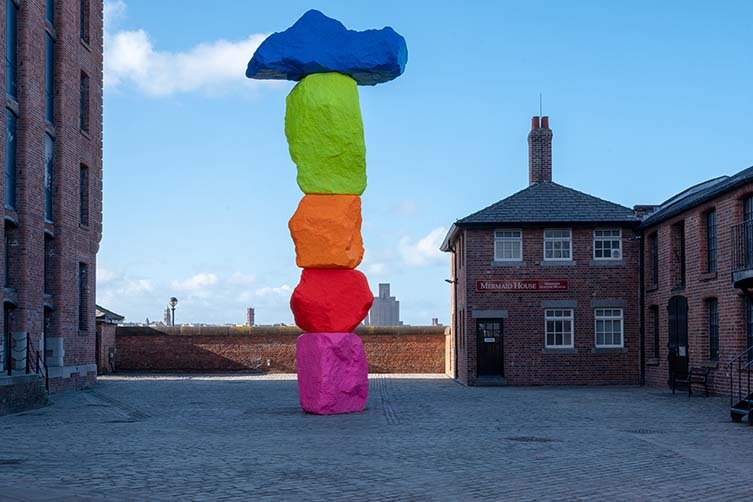 Now somewhat of a calling card for Rondinone, the artist has unveiled his debut public artwork in the UK; a ten-metre-high stack reminiscent of his Nevada desert icon, pared-back to a singular totem like that which resides outside Miami Beach‘s The Bass. 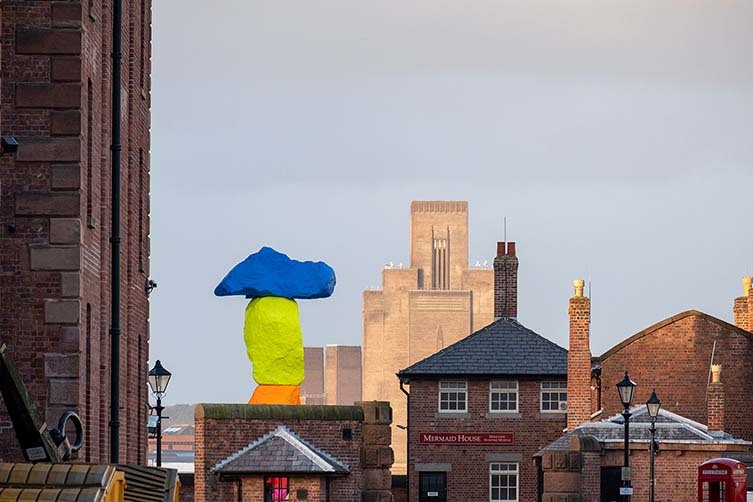 Commissioned by Liverpool Biennial and Tate Liverpool, Liverpool Mountain is a new icon for the port city renowned for its collaborations with leading contemporary art talent. 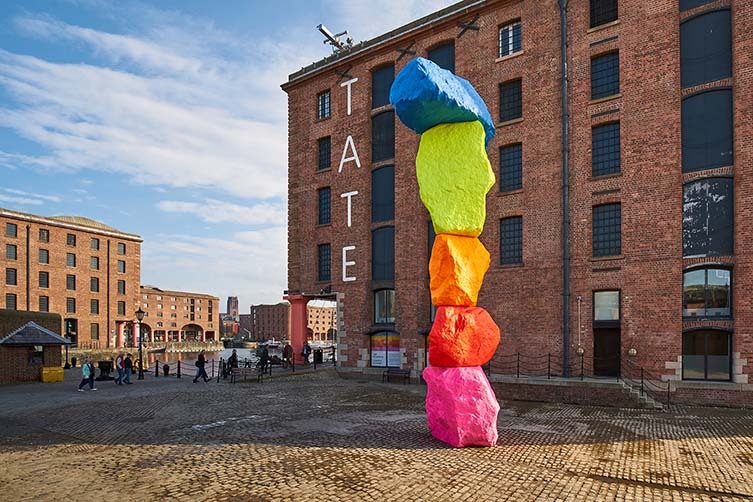 Commissioned as a key focal point of the Liverpool 2018 programme, Rondinone’s bold and brilliant Liverpool Mountain honours Liverpool’s long association with contemporary art, with 2018 marking an incredible series of anniversaries: ten years since Liverpool European Capital of Culture, Liverpool Biennial’s 20th anniversary, and the 30th anniversary of Tate Liverpool. 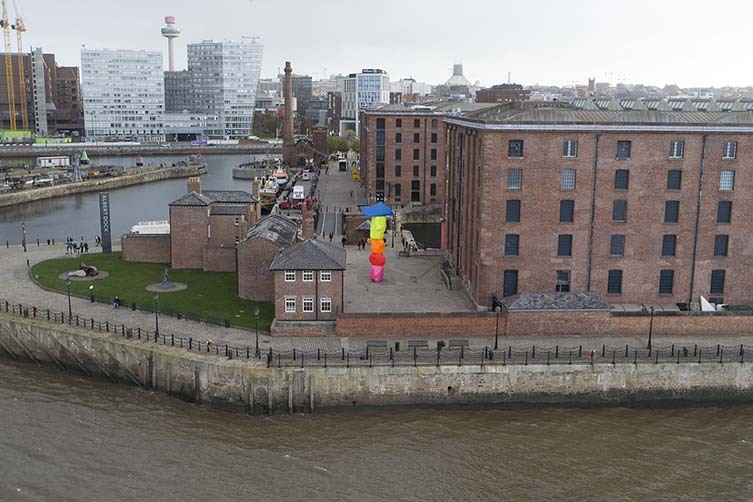 Ugo Rondinone’s Liverpool Mountain is on view now in Mermaid Courtyard next to Tate Liverpool, Royal Albert Dock Liverpool. 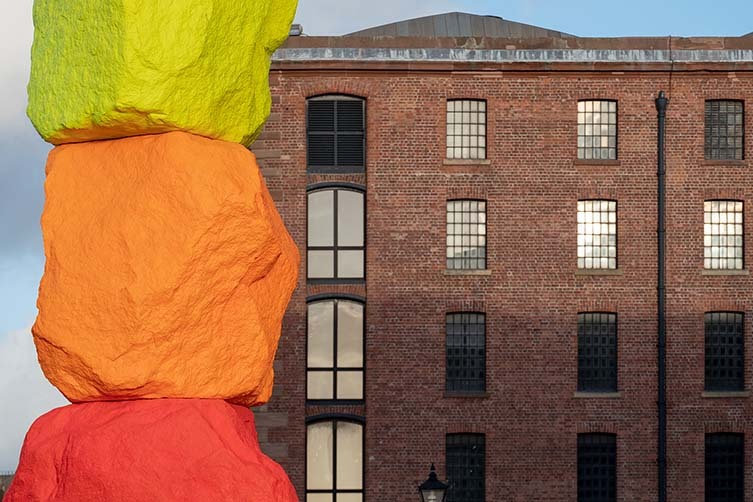 Liverpool Mountain is commissioned by Liverpool Biennial and Tate Liverpool as part of the Liverpool 2018 events programme with support from Royal Albert Dock Liverpool. 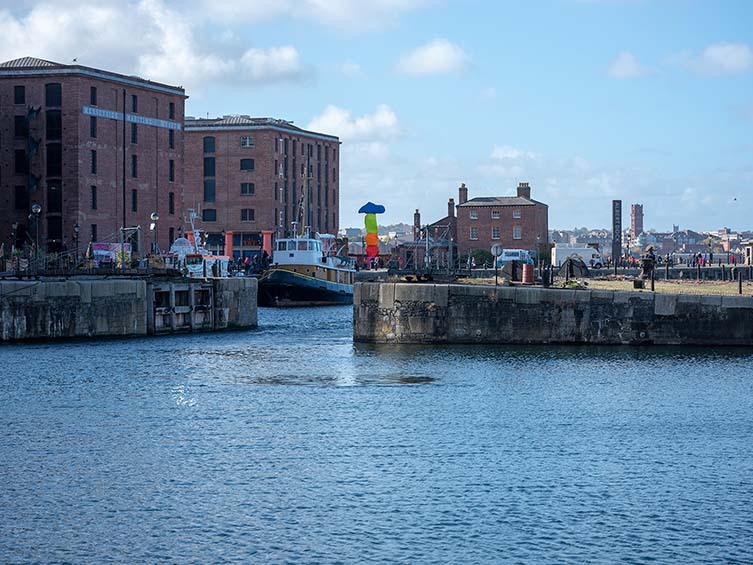 Funded by Liverpool City Region Combined Authority (Strategic Investment Fund).